Anthony Perkins (April 4, 1932 - September 12, 1992) gave his most celebrated performance as the character Norman Bates in Alfred Hitchcock's legendary film "Psycho." However, he was also an accomplished stage and screen actor in many other productions. His career was cut short at age 60 by AIDS. Famous Quote: "I have learned more about love, selflessness and human understanding from the people I have met in this great adventure in the world of AIDS than I ever did in the cutthroat, competitive world in which I spent my life." 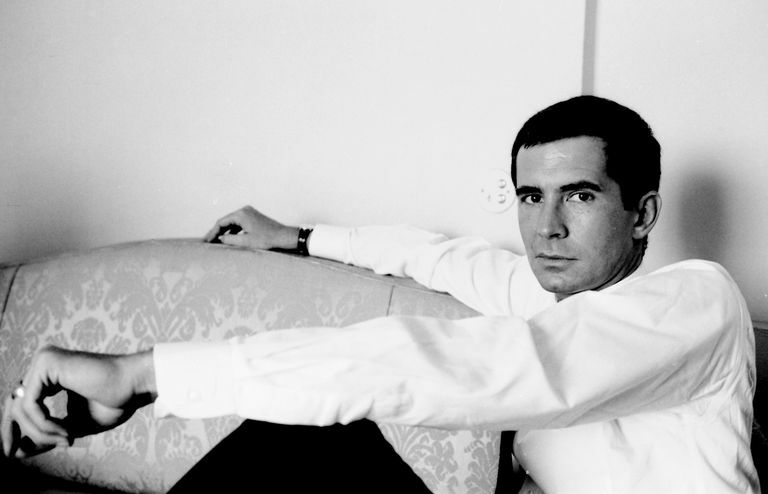 Born in New York City, Anthony Perkins was the son of actor Osgood Perkins. His father gained fame as a Broadway star and Hollywood character actor. Work caused Osgood Perkins to be away from his family frequently. Young Anthony, frustrated by the absences and jealous of his father when he returned home, wished that his father would die. Osgood Perkins died suddenly in 1937 of a heart attack when his won was only five years old. Anthony Perkins told interviewers he assumed as a child that his wishes had actually killed his father. Guilt followed Perkins for many years to come. Anthony Perkins joined the union Actors Equity at age fifteen and began appearing in stage productions. His film debut was 1953's "The Actress" with Spencer Tracy and Jean Simmons. Perkins first gained widespread critical acclaim in 1954 when he replaced John Kerr in the lead role of the Broadway hit "Tea and Sympathy." Two years later he appeared in his second movie "Friendly Persuasion." It earned him a Golden Globe Award for New Actor of the Year and an Academy Award nomination for Best Supporting Actor. Returning to Broadway in 1957 in the play "Look Homeward, Angel," Anthony Perkins earned a Tony Award nomination for Best Actor in a Play. He earned another nomination for his part in the 1960 musical "Greenwillow." Among Perkins' additional film successes were his emotional performance as troubled baseball player Jimmy Piersall in 1957's "Fear Strikes Out" and as a naval officer preparing for the end of the world in 1959's "On the Beach." In 1957 and 1958, Anthony Perkins branched out into pop music. He recorded three albums and his single "Moon-Light Swim" reached #24 on the U.S. pop charts. Reportedly, Alfred Hitchcock signed Anthony Perkins to portray the murderer Norman Bates in his 1960 film "Psycho" because Perkins had a boyish quality that reminded Hitchcock of James Stewart's younger years. The acclaimed performance was a key element in the film's success and identification as one of the best horror films of all time. The movie was a box office success earning back fifty times its production budget. "Psycho" was nominated for four Academy Awards and is considered one of the best films of all time. Anthony Perkins appeared in three "Psycho" sequels. 1983's "Psycho II" and 1986's "Psycho III" were released to theaters. 1990's "Psycho IV: The Beginning" was made for broadcast on cable TV. To escape typecasting after the success of "Psycho," Anthony Perkins starred in a series of European films in the early 1960s. He received strong critical acclaim and A Cannes Film Festival Best Actor Award for his role opposite Ingrid Bergman in 1961's "Goodbye Again." He also co-starred in movies with Sophia Loren and Brigitte Bardot. Perkins failed to re-establish himself as a leading man in 1968's "Pretty Poison." He co-starred with Tuesday Weld in a story of an ex-convict and a high school cheerleader committing a series of crimes. The movie was a commercial failure, but many film critics praised it ultimately turning the film into a cult classic. Anthony Perkins began playing supporting character roles in the 1970s. He earned Best Supporting Actor Award nominations from the National Society of Film Critics for 1970's "Catch-22" and "WUSA." He also played a key supporting role in 1972's "The Life and Times of Judge Roy Bean," and he was part of the star-studded cast of 1974's "Murder on the Orient Express." In 1973, Perkins co-wrote the screenplay for "The Last of Sheila" with musical theater legend Stephen Sondheim. In his final years, in the late 1980s and early 1990s, Perkins appeared in television productions and horror films. His last role was part of "In the Deep Woods," a TV movie starring Rosanna Arquette. Anthony Perkins was noted for being a very shy person, particularly around women. Biographers have stated that all of his romantic relationship until his late 30s were with men. Biographers linked him with Rock Hudson, Tab Hunter, Rudolf Nureyev, and Stephen Sondheim. 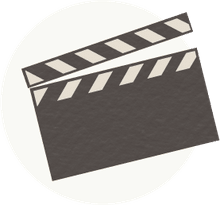 Reportedly, his first heterosexual relationship experience was in 1971 with Victoria Principal while filming "The Life and Times of Judge Roy Bean." In 1972, Perkins met Berinthia Berenson, a photographer and younger sister of actress Marisa Berenson. They were married in August 1973 and had two sons, Oz and Elvis. Berinthia Berenson died in the terrorist attacks of September 11, 2001, while a passenger on American Airlines flight 11. "I have learned more about love, selflessness and human understanding from the people I have met in this great adventure in the world of AIDS than I ever did in the cutthroat, competitive world in which I spent my life." Three days after Perkins' death, his widow spoke about their two years of silence about his battle with AIDS in an interview with the New York Times. Anthony Perkins was one of the rare post-World War II American actors who was as accomplished on the Broadway stage as he was in Hollywood. He continued to take roles onstage in New York City throughout most of his career. Despite the over-sized notoriety of his role as Norman Bates in "Psycho," he left behind a legacy of great performances recognized by award nominations and critical acclaim. His tragic death from AIDS helped bring public attention to the ravages of the disease. Bergan, Ronald. Anthony Perkins: A Haunted Life. Little Brown, 1995. Winecoff, Charles. Split Image: The Life of Anthony Perkins. Dutton, 1996. Anthony Montgomery | Creativity Plus!